CMHA Toronto applies a Health Equity framework to all its programs and services, to promote a culture of safety for everyone who comes through our doors, whether staff, service participant, family, volunteer, community partners, or the public. 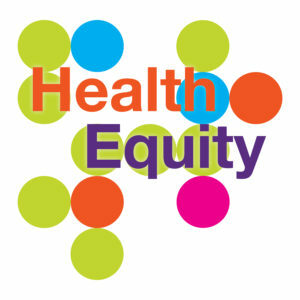 Health Equity implies that everyone should have fair opportunity to access healthcare and achieve their health potential. It acknowledges that different populations have different experiences of health and healthcare due to a variety of avoidable or remediable differences, such as race, ethnicity, age, gender, sexual orientation, trauma history, education background, Indigenous status, income, class, culture, or (dis)ability. Health Equity functions to: advocate for improvements to address health inequities; increase all CMHA member’s knowledge and capacity to address health inequities; and collaborate with partners, internally and externally, to move this work forward. On July 17, 2014, CMHA Toronto partnered with CMHA Ontario, Health Nexus and the Ministry of Health to deliver a webinar on the HEIA. This webinar explores the concepts of equity issues in mental health in Ontario and how the Health Equity Impact Assessment can be an important tool for service delivery and program planning. An orientation to the HEIA tool and case studies are also provided.